28 x 72 inches. Our cardboard cutout of Horse. Items are printed and produced to order. Printing and processing can take up to 5 business days, plus shipping time. 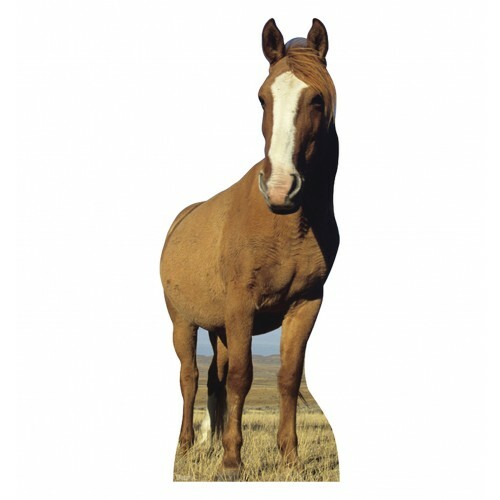 Cardboard Cutout of a Horse. In this Cutout the horse is slightly standing to the side in a field where you can see most of its body.